Yes, electrostimulation definitely works and is a method recognised by both the medical and sports world. Electrostimulation is now an integral part of physiotherapy and pain management protocols. It has been a technique used by physical therapists for many years. 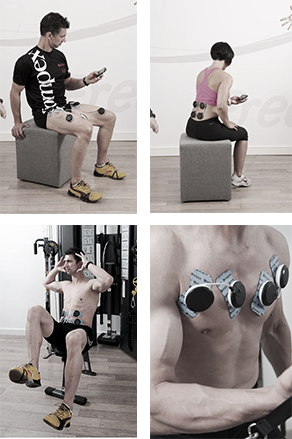 Today, many leading athletes use electrostimulation in their training programme to optimise results. It is a perfect solution to prevent injuries and give the muscles the exact treatment they need at a certain point of time in a training schedule. Electrostimulation is not a miraculous technique; it respects how your body works. The principle of electrostimulation is very simple. It precisely reproduces the processes that occur when our brain orders muscles to contract. When we decide to contract a muscle, our brain sends a signal in the form of an electric current that travels at high speed along the nerve fibres up to the muscle, which reacts by contracting. In the case of electrostimulation, excitation occurs directly on the motor nerve using electrical pulses perfectly controlled to guarantee effectiveness, safety and comfort in use. In fact, muscles cannot tell the difference between a voluntary contraction (triggered by the brain) and an electrically induced contraction: the work done is exactly the same. It's completely natural!